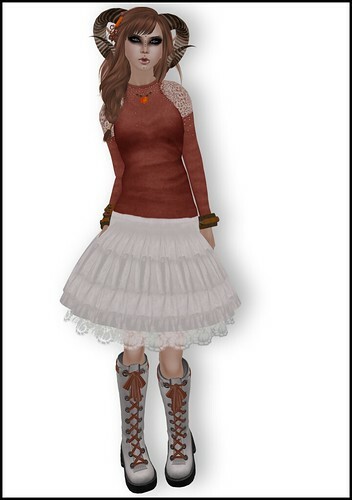 Week 10 of Luna Jubilee’s 52 Weeks of Color Blogger Challenge is Sienna. This has been the hardest color yet for me… this top is the only Sienna colored thing I own! This entry was posted in 52 Weeks of Color, Fashion, frickablogs, Pictures, slfeed and tagged 52 Weeks of Color, elikatira, Lazy Places, Shiny Things, Silver Wheel, Sn@tch, Whippet & Buck. Bookmark the permalink.